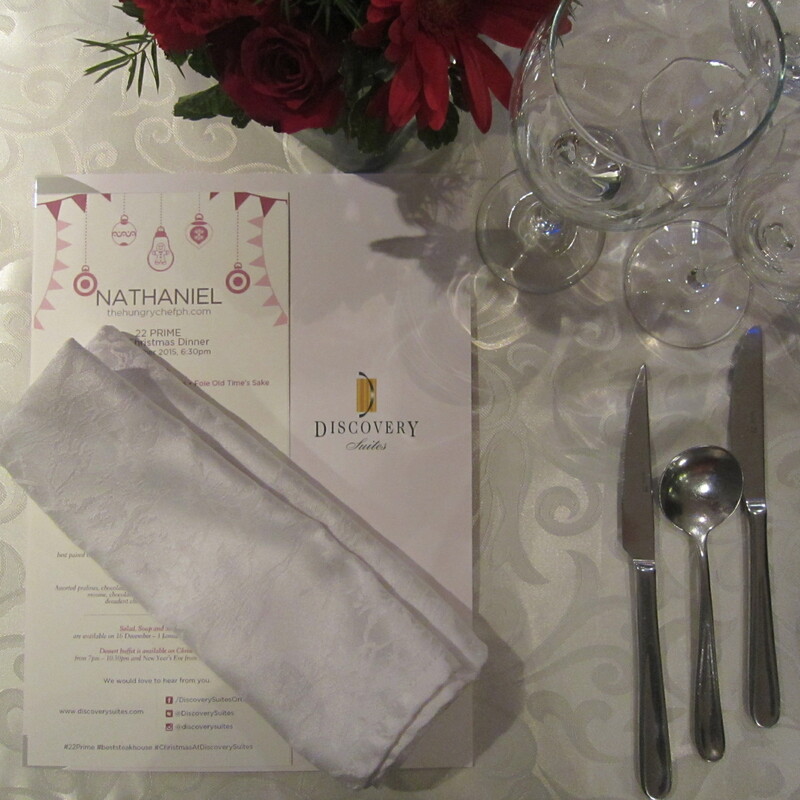 Liven up the festivities with delectable food offerings that will surely delight families and friends. 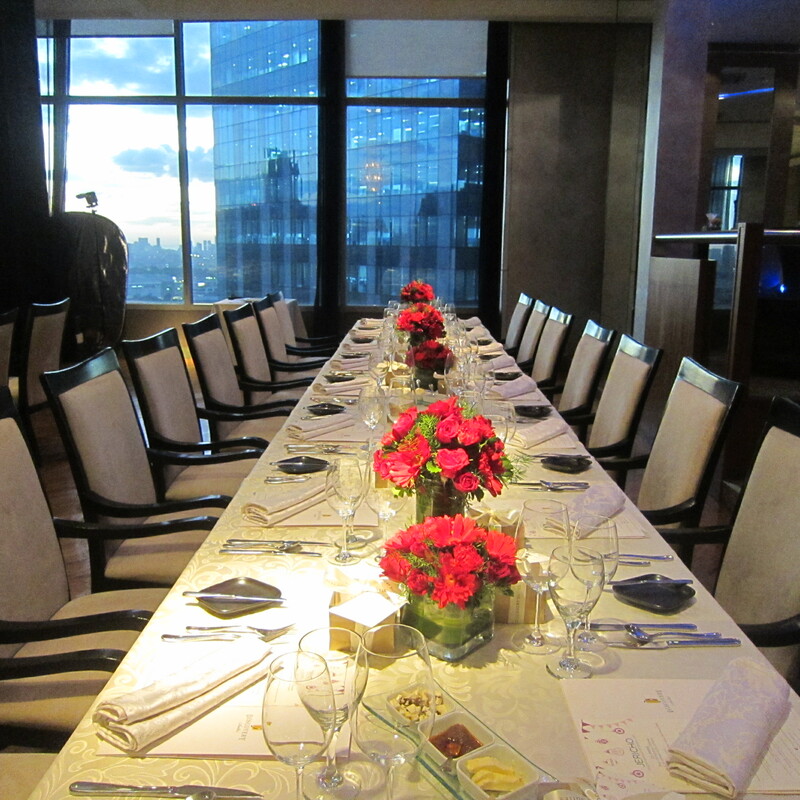 Enjoy 22 Prime’s 4-course meal featuring Double Smoked Bacon Turkey Roulade, or USDA Angus Prime Rib-Eye. This special holiday is available only from December 16, 2015 to January 01, 2016. Mesclun Greens, Dried Fruit Compote, Red Grape Gastrique, best paired with Stone Cellars by Beringer Chardonnay, or my personal choice Enzo Lim’s creation… Daiquiri de Pamplona. This was also served with grilled Brioche bread, the bread gives needed sweetness to cut through the layers of richness in the Foie Gras, a very deadly dish but very well executed at that. 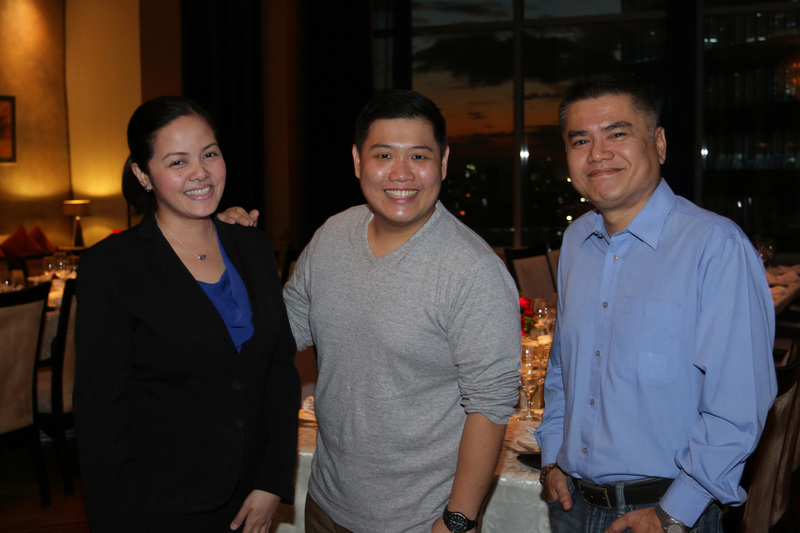 Just a brief background, Enzo Lim, Discovery Suite Ortigas’ Mixology Consultant, is also the owner and partner at New York’s acclaimed Filipino restaurants namely, Maharlika and Jeepney. Aside from what is coming next, this one stole the show! I rarely like soup or order soup in restaurants, reason being I know they only make soups to utilize kitchen trimmings. 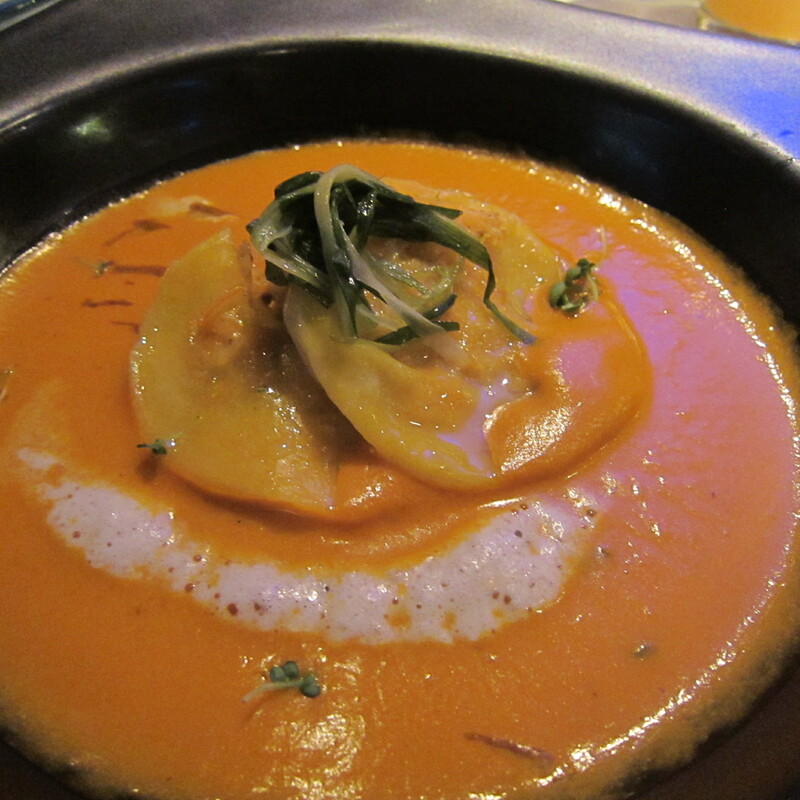 However, 22 Prime’s Pumpkin Bisque is truly amazing! The richness of the shrimp broth made creamy with the addition of pumpkin puree, two flavors matches harmoniously with the crab ravioli, which the melted leeks complemented perfectly. This is very well thought of, and very much well executed. Purple Potato Puree, Aromatic Vegetables, Green Peppercorn Sauce, best paired with Altozano, Finca Constancia Tempranillo, or Enzo Lim’s Doña Sol. 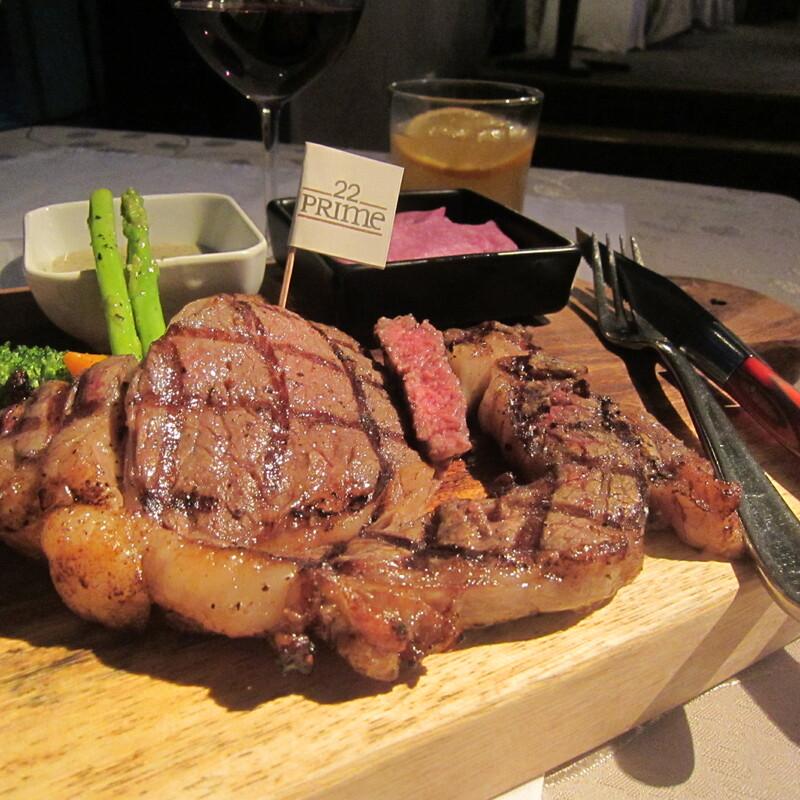 What is dining in 22 Prime without having steak? 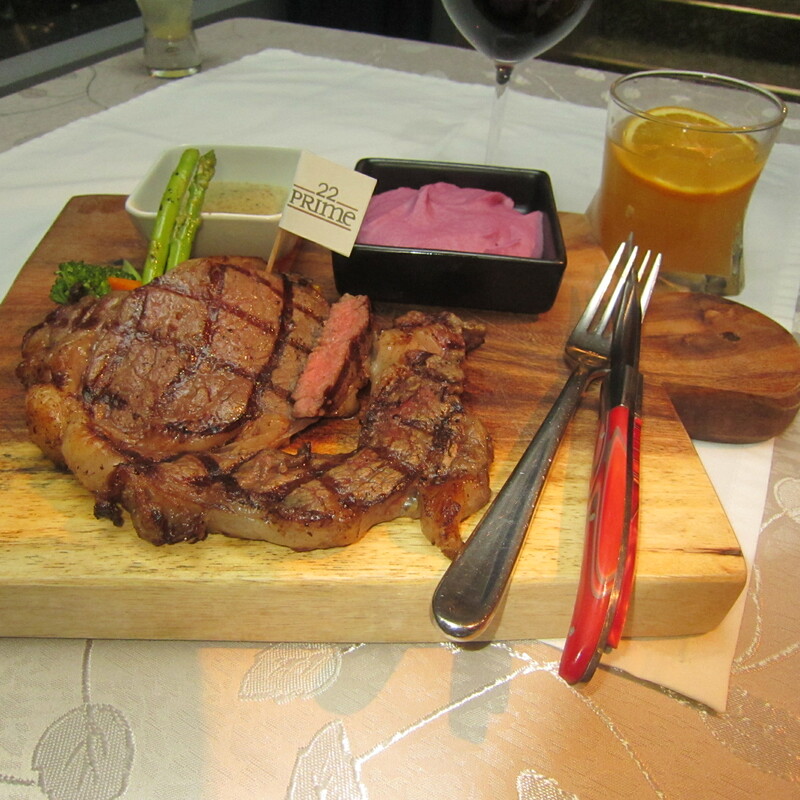 This is one of the best place to get steak in Manila, and quality haven’t changed since the first time I dined here. 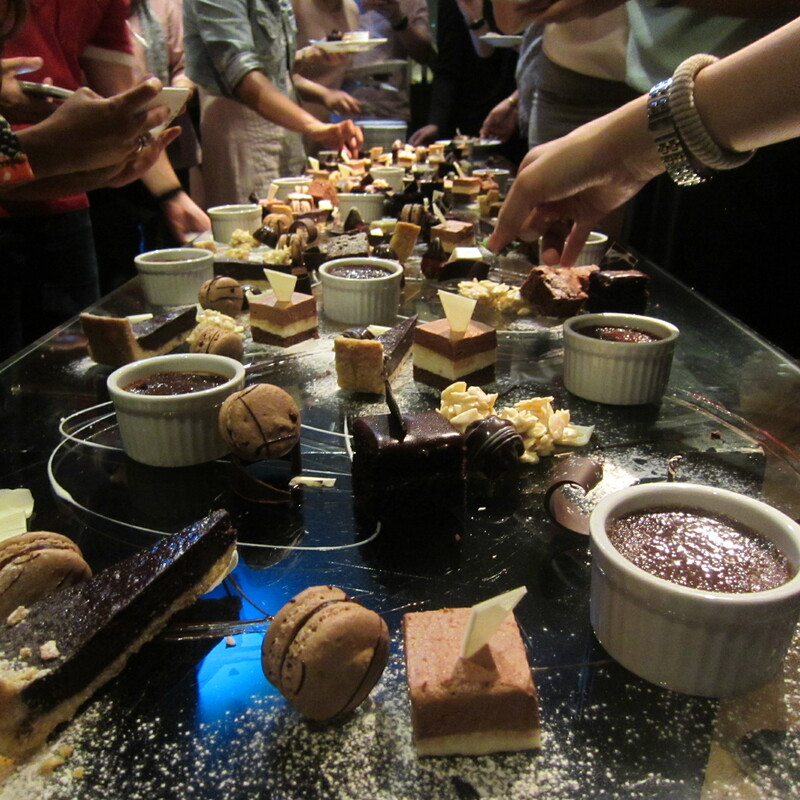 I had more than my fair share of this yesternight, thanks to my seatmates (Gerry and Celine). You guys are making me fat! But it is just so worth-it!!! 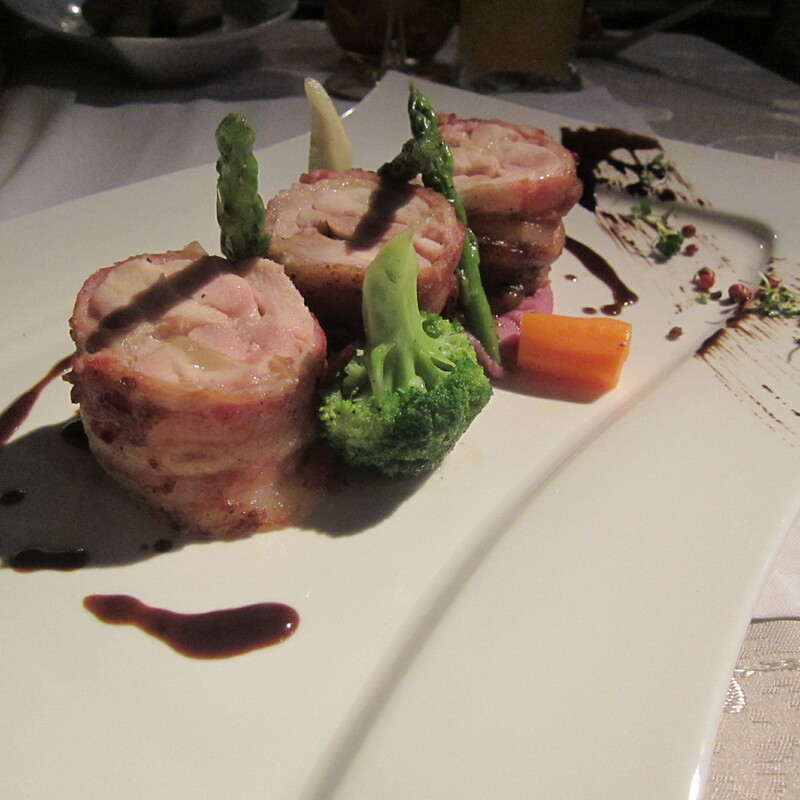 For non-steak eaters, the meat can be changed to a Double Smoked Bacon Turkey Roulade. 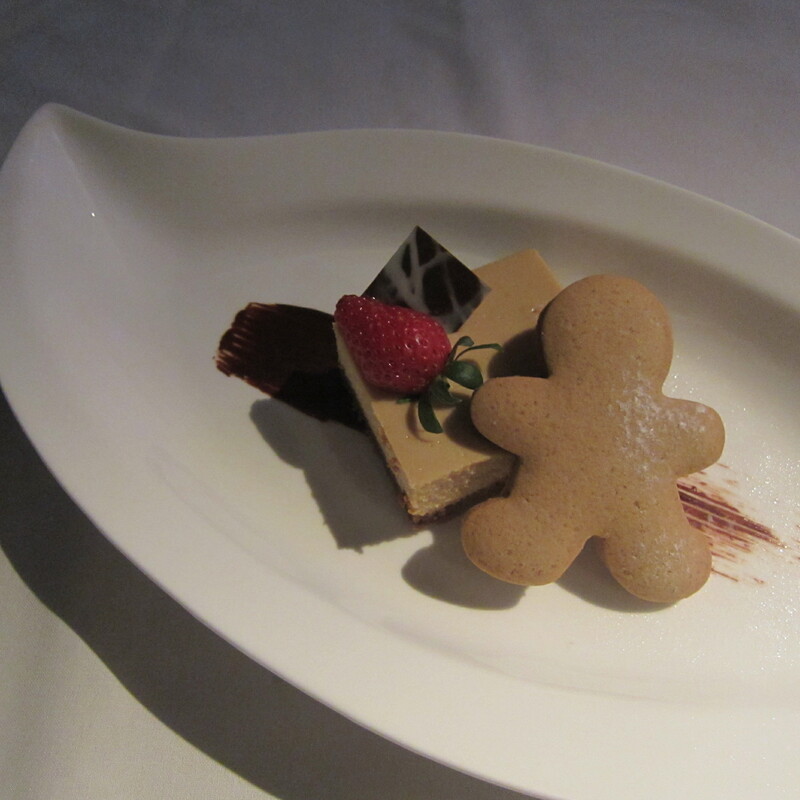 You end the 4-course meal, with this lovely Gingerbread Man Cheesecake. For those who want to celebrate Christmas Eve and New Year’s Eve in the hotel, 22 Prime offers a carving of Prime Rib-Eye and Holiday Turkey with decadent pastries, Chocolate buffet included. 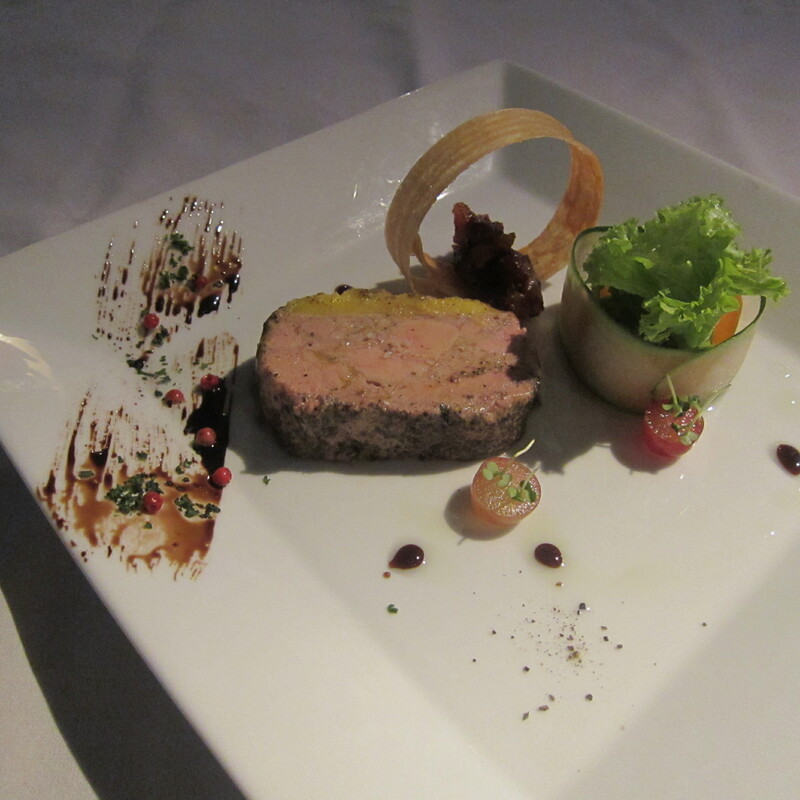 4-course meal is from December 16, 2015 to January 01, 2016, 12:30PM to 10:30PM.